Mr. Pasquale was a pioneer in the ecologically-responsible “green” trend currently sweeping the country, heading what was formerly the 1980’s Atlas Paper Company, which was Manhattan’s largest private recycling firm which first handled the initial 1990’s New York City Department of Sanitation recycling program. He has been quoted in the The New York Times and New York Real Estate Journal, for green building systems in the early 1990’s. Mr. Pasquale's professional memberships include The Real Estate Board of New York (REBNY), Building Owners & Managers Association International (BOMA), National Association of Realtors (NAR), The Greenwich Village Chelsea Chamber of Commerce (GVCC), The NY Association of Realty Managers (NYARM), The Soho Partnership, The Chinatown Partnership, and The Greenwich (CT) Association of Realtors. 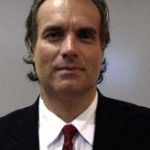 He is licensed as a New York, Florida, Connecticut and New Jersey real estate broker. He is also a property and casualty insurance broker in New York and Connecticut. He has a Certificate in Real Estate from New York University. He is currently on the steering committee of both the SoHo and Chinatown Improvement efforts. As Chairman of NYCRS, Mr. Pasquale is proud to foster successful careers with all company agents while providing a “seamless” respectable representation of prospective tenants/buyers with landlords/sellers to eventually lead to closed deals!